It's Passion week! That means big things are happening at Gateway this week. As we busily prepare for this weekend, please take some time to read about many of the things coming up for students here at Gateway. As we begin the final third of the Spring semester some of the exciting things coming up are our Siri Fail series in youth group, SWERVE, 2 more Open Gyms, Shine's "Grace Wins" program, Senior Night @ youth group, and Senior Sunday! Just look below for some important info on some of these events coming up in April! This elective will help students who have a desire to learn how to craft a sermon gain some practical steps they can apply to choosing a biblical text, interpreting the text, and deductively sharing the text in a relevant way. This elective is for Middle School and High School students. We will all be in the main student worship center for a morning of praise and worship with one of our very own high school students sharing the word. It's going to be a powerful morning. We hope that you're student and their friends can be there! When life gets hard and things don’t turn out the way we hoped, it’s easy to believe that God is distant and that our story is over. But Easter reminds us that just the opposite is true. Through Easter we’ll discover that Jesus is a God who isn’t distant and hasn’t abandoned us. In fact, He’s always working to bring our stories back to life. The parent cue is a tool for you to make our conversations at youth group count at home. Count at all. This tool gives you good clues on how and when to engage in these conversations with your teenager. 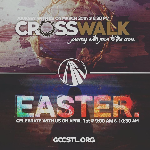 JOIN US FOR THE CROSSWALK ON GOOD FRIDAY! Invite your family, friends and neighbors to the first of our Easter weekend events on Good Friday — our Good Friday CrossWalk. This all-family event includes drama and worship inside, a journey with Jesus during His final hours, and a time of communion and praise at the foot of the Cross. Come and discover God’s great love you in Christ! 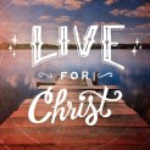 We encourage all students in 6th-12th grade to take our Live for Christ 101 course at Gateway. This course helps students understand what it means to really give your life over to Christ, and how that is lived out with us at Gateway Christian Church. Students can register for 101 by filling out their bulletin attachment and dropping it in the offering bag on Sundays. Gateway's student drama team has prepared a wonderful performance for you about the power of God's grace in our lives and this world. We hope that you, your family, and your friends can come and be blessed! Every 4th Tuesday students can come to Gateway's gym for a free night of basketball, volleyball, futsal, or other fun games! Every 5th Sunday weekend the teens team gets to come set up the chairs for our weekend services. All students are encouraged to come and help as we serve Christ and one another.